Neo4j is an open source graph database written in Java. Graph databases provide an excellent way to get richer insight into data and lower the bar for entry into the data science world. Starting with a practical and vital introduction to Neo4j and various aspects of Neo4j installation, you will learn how to connect and access Neo4j servers from programming languages such as Java, Python, Ruby, and Scala. You will also learn about Neo4j administration and maintenance before expanding and advancing your knowledge by dealing with large Neo4j installations and optimizing them for both storage and querying. This is a practical guide full of examples and Neo4j recipes. 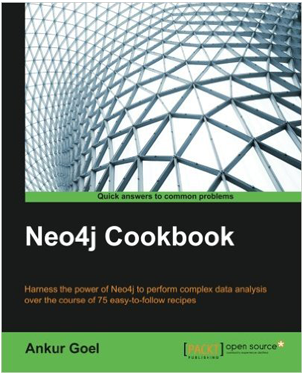 The recipes are well explained with code samples that are updated for the latest version of Neo4j.